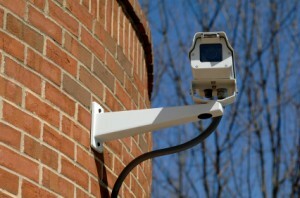 Video surveillance systems can be extremely beneficial for business owners and property managers. Still, there are some concerns. After all, how many times have you heard that a suspect was “unrecognizable by the camera?” So how do you ensure that your video surveillance system works when you need it most? Fortunately, the above mentioned scenario is extremely preventable. How? Security Audits. Is your surveillance system up to the task? Well, now is the time to find out. A security audit and assessment can help you recognize weaknesses in your security system before they have any adverse effects. The regular testing, adjustment and calibration of all of your systems is important. Functionality: Is everything working the way it should? Is video clear and free of distortion? Are images recorded as needed? These are just a few of the concerns your security auditor will address. Performance: A system performance evaluation seeks to identify how well a video surveillance system is working. Maintenance: Security audits should help identify weaknesses or areas prone to premature failure. Your security auditor will make maintenance and repair recommendations. For security audits, design, installation, testing and service, ARK Systems is the expert across the board. For any further questions on Video Surveillance and Baltimore Security Systems, simply contact ARK Systems at 1-800-995-0189 or click here today. Check us out on Facebook and Twitter as well! This entry was posted on Thursday, March 28th, 2013 at 6:17 pm. Both comments and pings are currently closed.